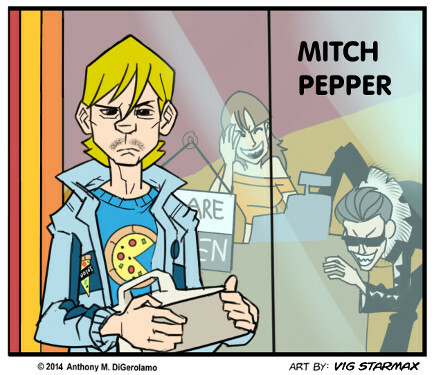 Description: Mitch Pepper is loosely based on the pizza delivery career of Tony DiGerolamo. Mitch is the human embodiment of the phrase, “He will not suffer fools gladly”. With a short fuse and a sour disposition, Mitch delivers pizzas because it’s the only job he can get right now. Unfortunately, between the customers and the staff of Caddio’s Pizza, there are plenty of fools to make him suffer. The Webcomic Factory » Friday on the Network: Security!